In the last biennial of Sao Paulo, Charalambidis’ dominant piece was a versatile, multiple-use platform, floating by the help of four helicopter’s propellers and of some helium filled barrels. The barrels originated from three barricades on the Green Line in Cyprus, the buffer zone that divides the island in two, Turkish and Greek as a coincidence of a violent war in 1974. The artist, following a painstaking, insistent and often painful process of struggling with United Nations’ bureaucracy and the local authorities, had finally the permission to dismantle three parts of the dividing wall, in order to transfer the barricade barrels to the Biennale, of which the title was “How to Live Together”. Moreover, he had convinced the military forces to provide him with a group of soldiers to participate in his antimilitaristic project. 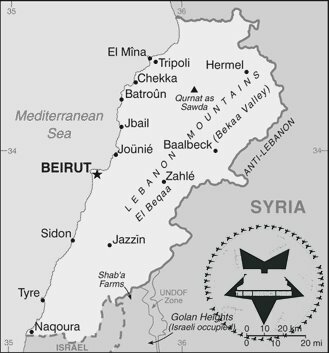 It was a real hard plan, which was getting even more complicated especially due to the fact that the whole operation had to be realised during the war in the neighboring Lebanon and in a period while Cyprus was in the process of accepting more and more evacuees; thousands of Lebanese people, who were arriving at the island seeking out for a refuge. In Sao Paolo Another group of Brazilian soldiers had received the barrels in order to set them inside the emblematic Niemeyer’s biennale building. Altering their militaristic role, the Cypriot soldiers had shifted their duty of protecting/guarding the wall in dismantling it. The floating platform had served as a stage for a series of happenings and performances playing the role of an alternative carnival float. In one of these performances the group of the Brazilian soldiers had accompanied a team of samba girls during their dancing, while Brazilian drummers had been playing Samba on the dismantling barricade barrels, converting them into musical instruments. Samba, which originated from traditional African dances, was the representative hymn to freedom for the African slaves in Brasil…The fancy costumes of the dancers had been made out of hieratic byzantine vestmens, like those that archbishop Makarios, the first elected president of the Cypriot Democracy, used to wear. 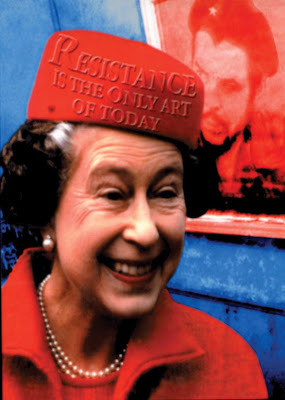 In fact, I’m one among those who strongly believe that he would surely be one of the most known pioneer figures of the nineties if he wouldn’t himself repeatedly refused to play the game of art system, believing that political art should find alternative ways to act. Even if, in a very young age, he had drawn near international establishment and recognition through his participations in significant exhibitions, he had never accepted to collaborate with powerful galleries. Thus, when the Dakis Ioannou collection, had presented his work (soon after his first participation in Venice biennale in 1997) in the glamorous “Global Vision” five artists show, with Chris Offili, Kcho, Kara Walker and Yinka Shonibare, Charalambidis was somewhere across the Ireland’s borders, sticking up anonymous posters of the Queen Elisabeth (photo below) propagandizing his project “The Arab Guggenheim Museum”. 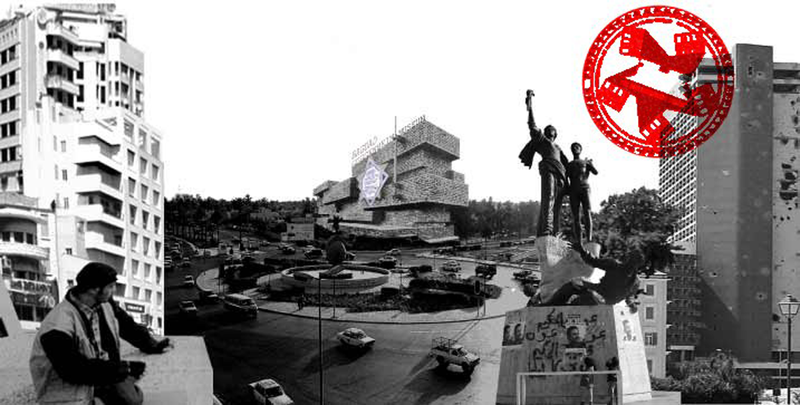 Actually another version of his Rumbling/Rambling Museum, “The Arab Guggenheim Museum” was also the conceptual framework of one of the other large-scale emblematic constructions that accompanied the Samba platform in Sao Paulo. Charalambidis envisaged his “Arab Guggenheim Museum” as an itinerant group of carnival floats that could participate in carnival processions in Europe (or other crucial spots of the Western world) as a cultural intervention by artists coming from Arab countries. As a travelling archive, this carnival ark, could distribute also, information about everyday life and the culture of these countries, functioning as a political manifesto or an “autonomous protesting machine”. In Sao Paulo, the museum took the form of a large prison following the outline of Mies van der Rohe Monument to November Revolution, on which a team of architecture students were participating in a series of workshops, wearing orange uniforms, as a subtly reference to the Guantanamo prisoners (images on page 6). Recently, I met Charalambidis in China, during the opening of “Trans-experiences 2008” at 798 Space in Beijing, where he presented his “Hollow Airport Museum”. Is actually another activistic guise of the “Arab Guggenheim”, in a form of an International Art School, located at the vacant building of the International Airport of Nicosia at the Green Line in Cyprus. The artist told me about his new “Carnival Float”, a replica of the Ledra Street barricade (the first barricade that officially came down after 44 years) which is going to travel throughout Europe to be connected with emblematic buildings and central museums. Rebuilding the barricade, Charalambidis stresses once again the message that the solution to the Cyprus problem, yet needs a lot of good willing steps, coming not only from the two communities of the island but mostly from the powerful countries and the policies that have been involved in the problem years before the real division of the island. The travelling replica of Ledra’s bariccade is going to carry a plasma TV present-ing the enthusiasm of Turks and Greeks with which they had welcomed the dismantling of Ledra’s part of the wall, a couple of months ago. In parallel, the visitors could be informed about the activities of the H.A.M. 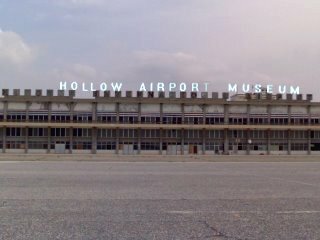 (Hollow Airport Museum) and its Art School of which the first team of teachers has been already fixed by: Mounir Fatmi, Gulsum Karamustafa, Wafa Hourani, Pablo Leon de la Barra and Eric Valette.. Atlas group is also another team that has been included in the Museum’s schedule for next spring. Volunteer soldiers are dismantling the barricade barrels at three points of the Green Line in Cyprus in order to transport them in Sao Paolo for the building of Charalambidis’ platforms. during a very hard period for the relationships of these two parts; at that period, even a long soldier’s gaze over the dividing wall, could be a dangerous gesture and the artist himself was indeed a witness of the assassination of two of his companion soldiers during his military service. One of the first Charalambidis’ interventional events in 1989 at the Green Line was a subtly and rather allegorical homage to the movement of Situationist International. In 2003, Charalambidis had represented Cyprus, at the famous Aria Scarpa - palazzo Querini, showing a variety of projects of his Rambling Museum. The president of Manifesta, Henry Meyric Hughes was the curator of his show and the excellent collaboration between the two men, was apparently of a determining nature for the decision of the committee to host Manifesta 6 in Cyprus. The perspective of an international event like that, stimulated the political feelings, not only of many artists but also of a number of curators who, unexpectedly, became sensitive about Cyprus’ political issue. The most vociferous example was the “Leaps of Faith” international exhibition, the curators of which had apparently followed Charalambidis’ steps, not having understood yet, much of his revolutionary practice, his courageous formula of working and his intense, selflessness and genuine devotion. “Leaps of Faith”, veiled under pseudo-political banalities and safely supported by numerous international corporations, was actually an opportunity for the invited international artists to experience an exotic weekend at a particular location like Cyprus. Protected from any dangerous and risk, the exhibition, had been widely advertised (especially to people who had never been in Cyprus) as a perilous and innovative project, although in 2005 even the circulation between Greek and Turkish communities through the dividing wall was officially permitted! Of course, at the period when Charalambidis had first inspired the artistic activation of the Green Line, the conditions were completely different. In the late eighties, for example, during one of his primary, extremely risky situationistic interventions (photo above) the United Nations troops, interposed the event and arrested the artist, since the whole activities were inverting the status quo of the Green Line and the artist was incurring real dangerous for his life. Arrayed furniture and structural elements, transferred from the artist’s house to an alternative carnival procession. Over the years Charalambidis has established an interdisciplinary way of working, involving local communities, universities and scientists, even military camps in his “Social Gym” projects. Combining Beuys’ romantic activism and advanced technology, his work has been a benchmark for political engaged artistic endeavour in the 1990’s and yet. Growing up among Lebanese emigrants in Cyprus, he has been always very concerned on the political situation of the nearby countries and the Middle East problem. His long-term “Arab Guggenheim Museum” project actually reflects these concerns, addressing issues such as cultural identity, multiculturalism, the implications of globalisation and capitalism. 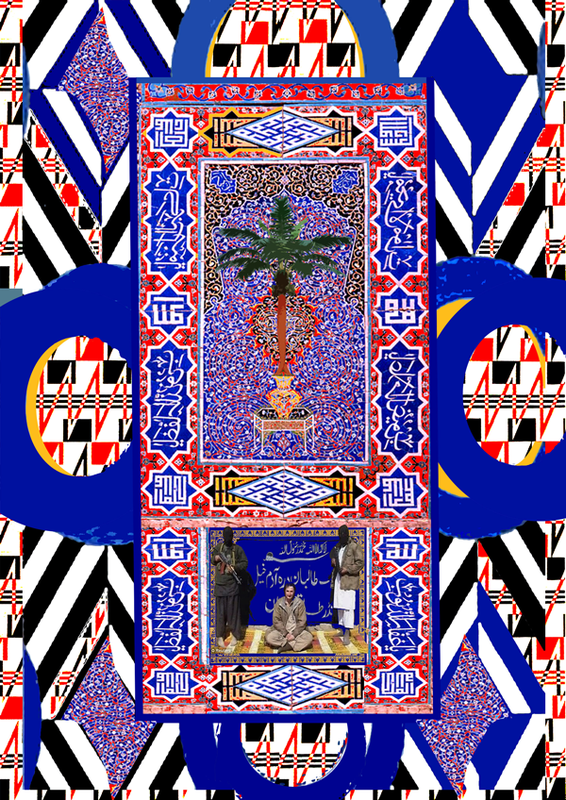 He questions ideas of nation or nationality and the emergence of post-national identities, the legacy of colonialism, ideological conflict and religion or the impact of consumer culture and Western materialism. 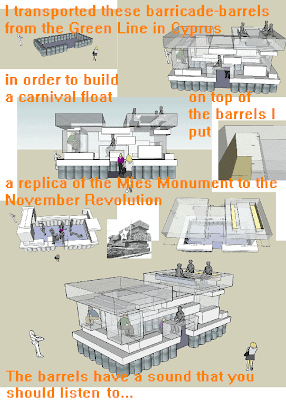 In Charalambidis’ proposal for a progressive carnival procession, the participatory carnival floats could convey a variety of crucial socio political and cultural information on Arab world and the Middle East problem , challenging a new perspective for critical reinterpretation, of the complex relationships between the Western and Eastern civilisations.